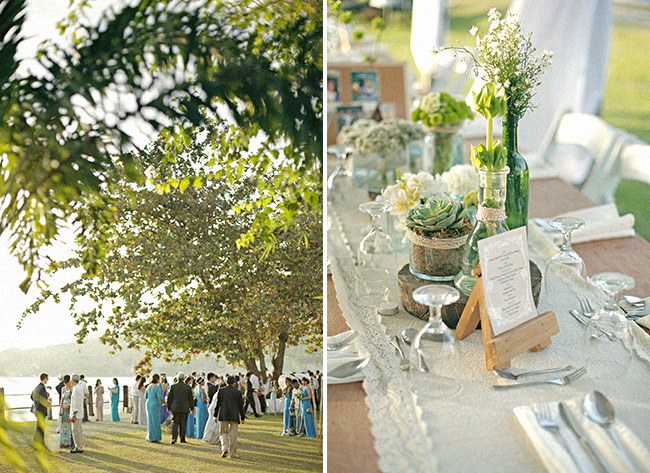 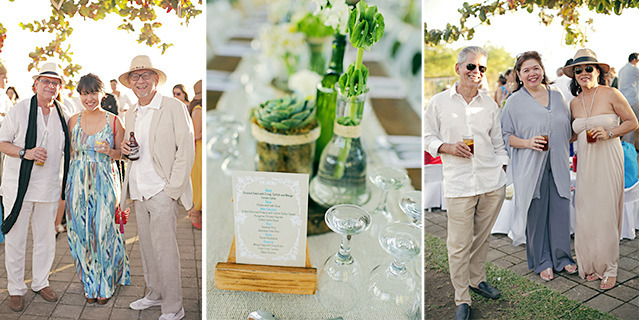 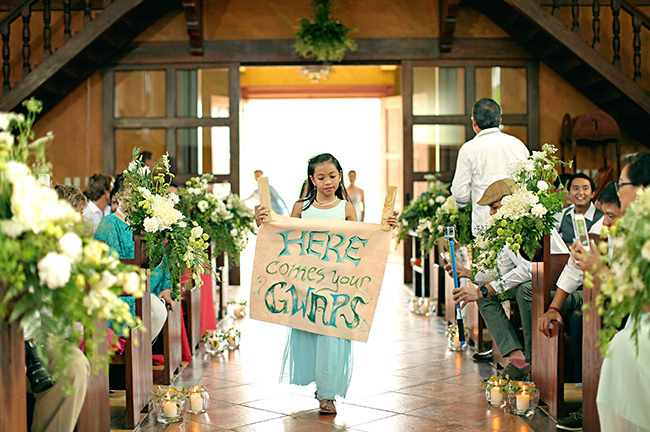 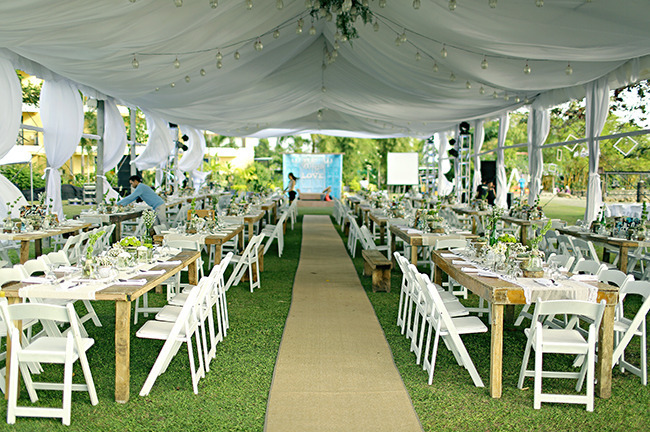 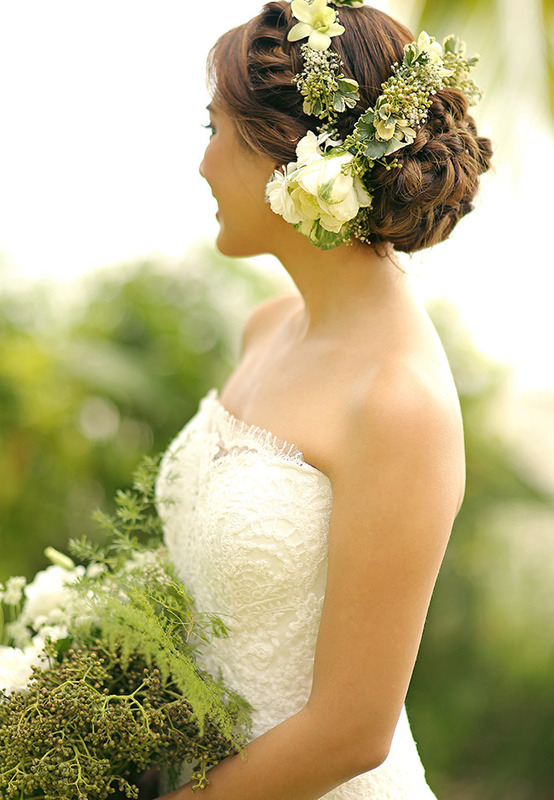 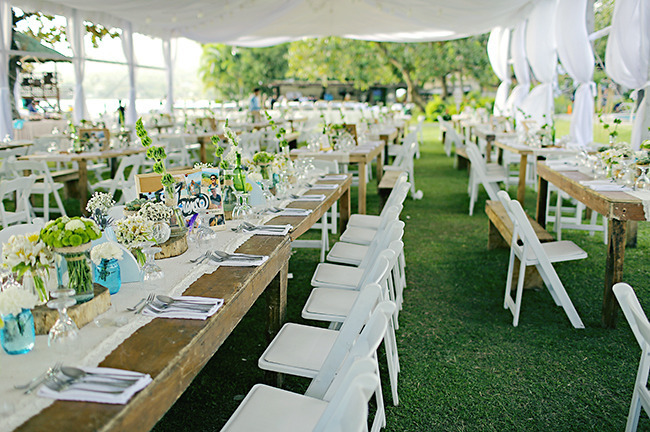 The combination of lush greens + white is always a welcome sight for a wedding look. 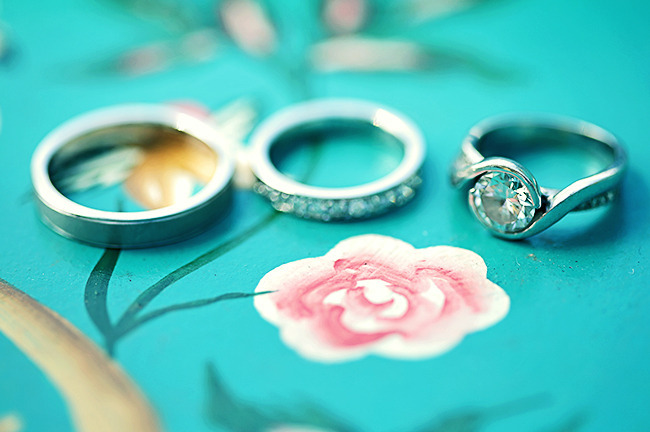 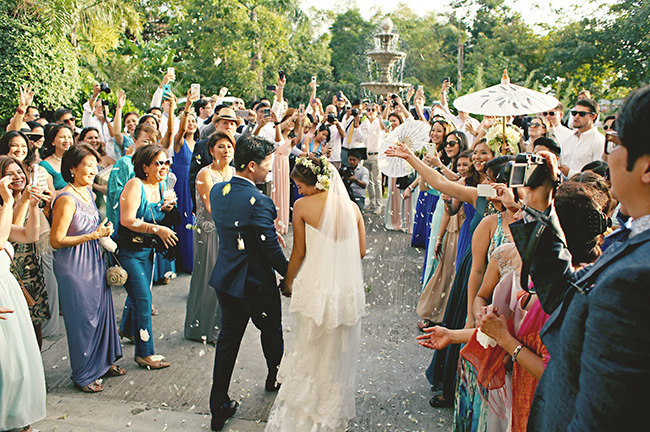 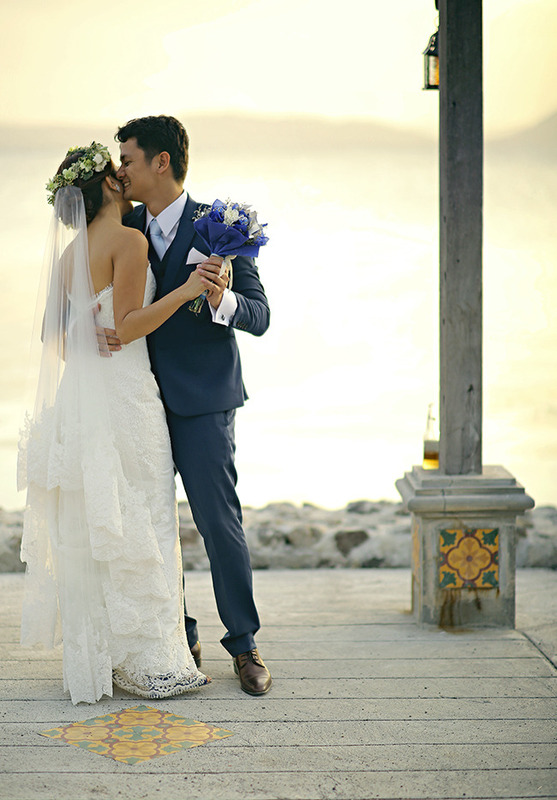 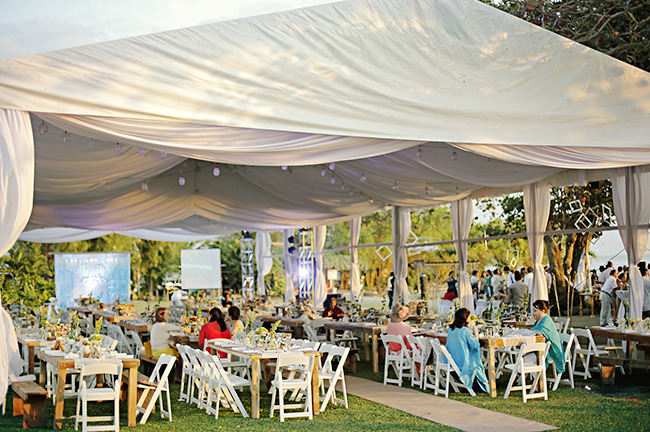 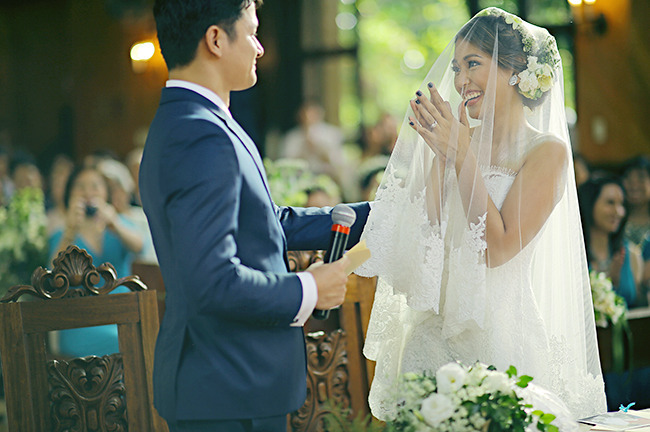 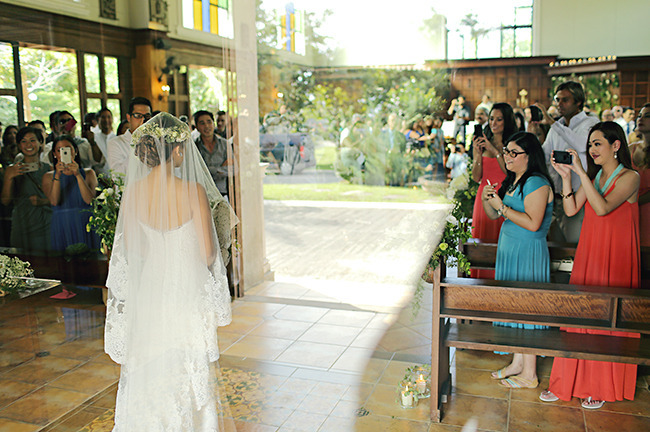 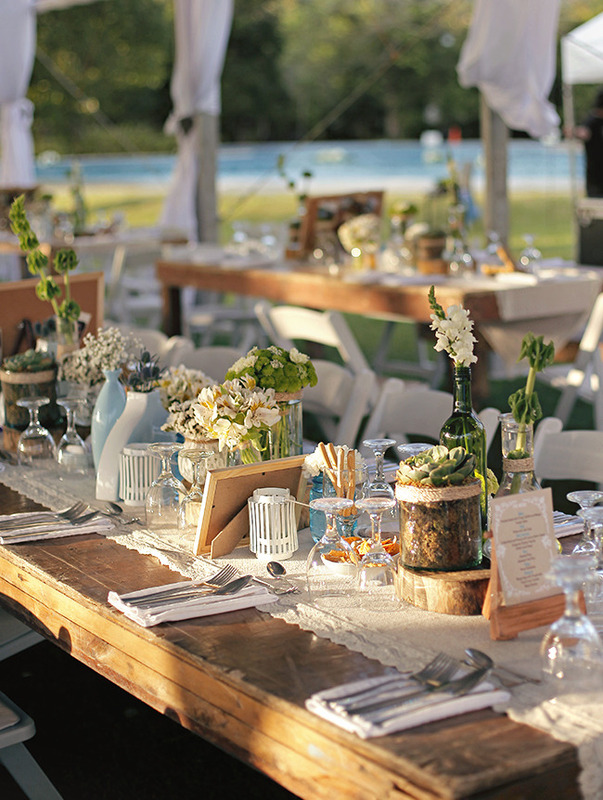 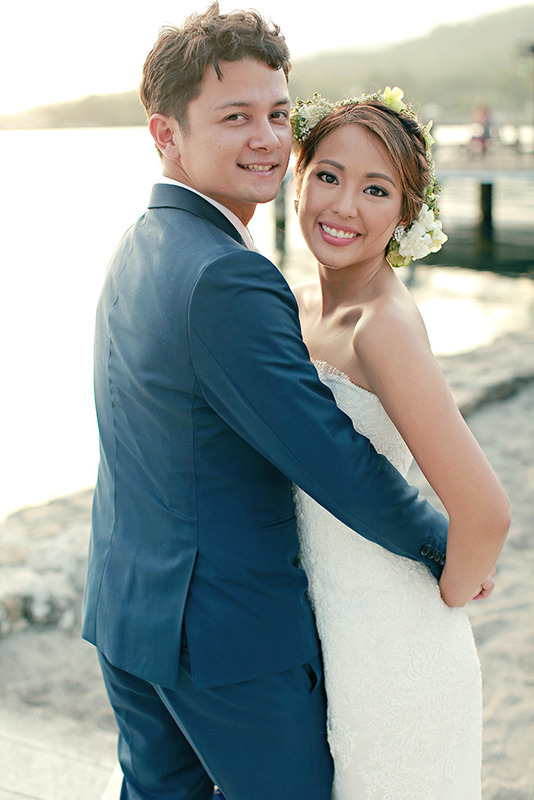 The refreshing vibe and sense of calmness it creates gives out an aura of clean, crisp, and chic wedding atmosphere. 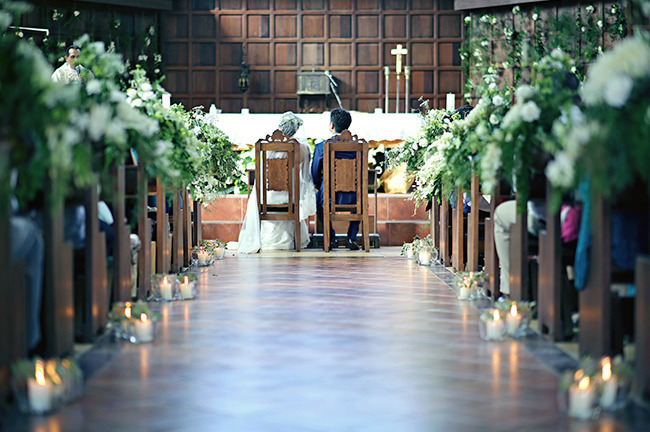 Today’s couple, Evan and Amanda chose this mood for their wedding celebration and everything looked so downright gorgeous! 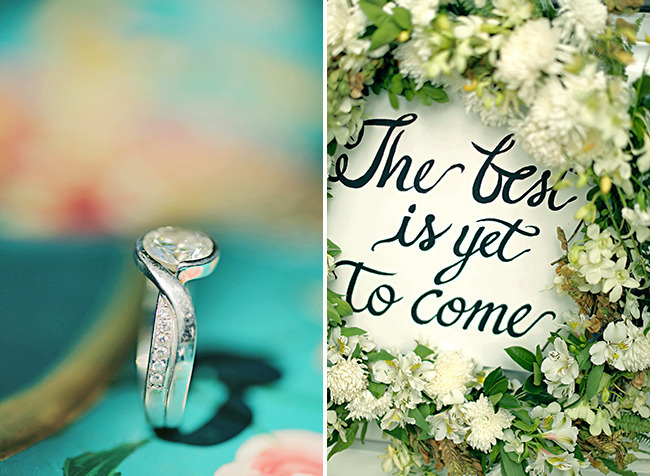 From Amanda’s bridal bouquet, to her chic flower crown, to the aisle style down to the reception table scape — each of these details looked so very put together and refreshingly beautiful. 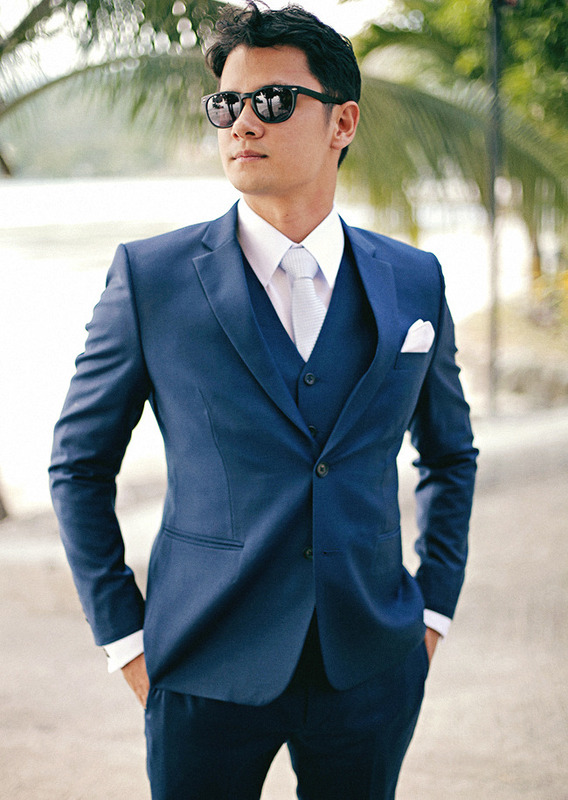 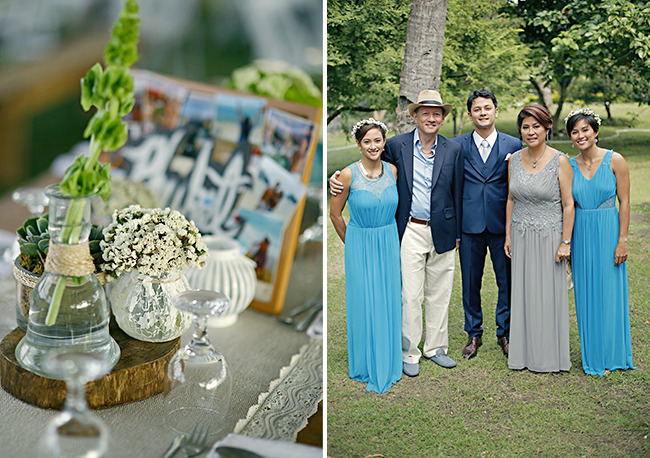 Oh, and they even chose to highlight their event with touches of cobalt and azure blue to make the wedding vibe even better. 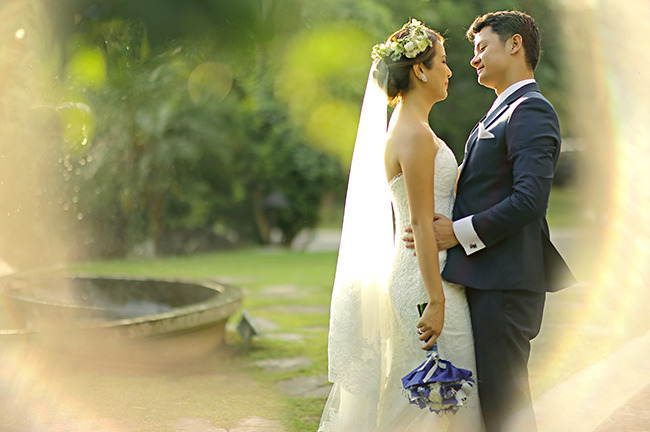 Kudos to Rex of We Do It For Love for all the oh-so-lovely snaps! 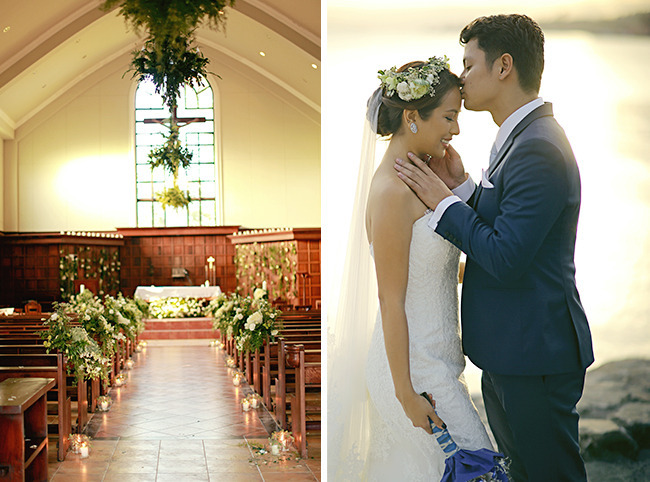 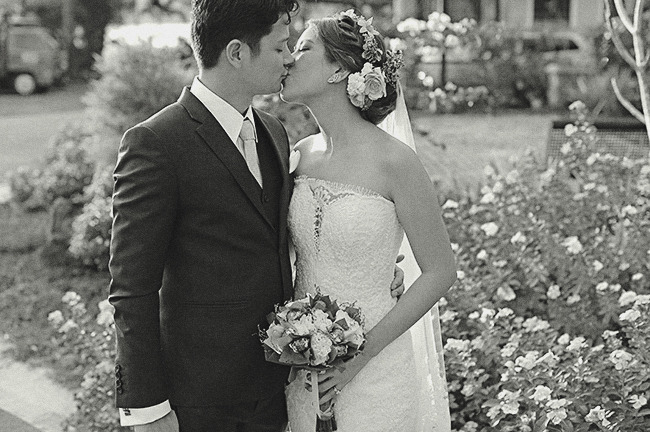 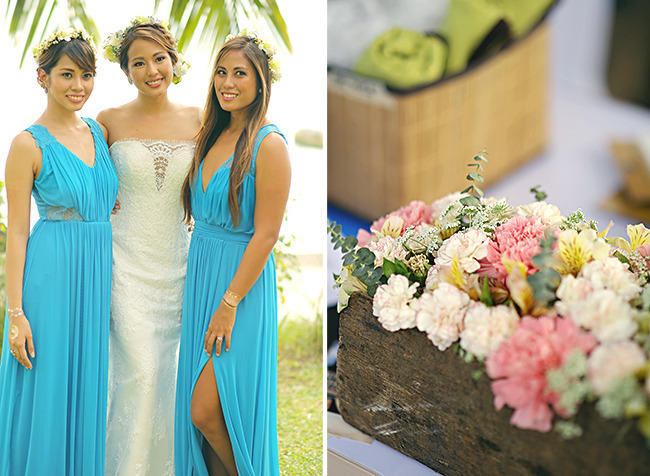 Here’s the rest of this foliage + florals inspired wedding… Enjoy!